Awareness For Wellness This March 25 | JustRunLah! 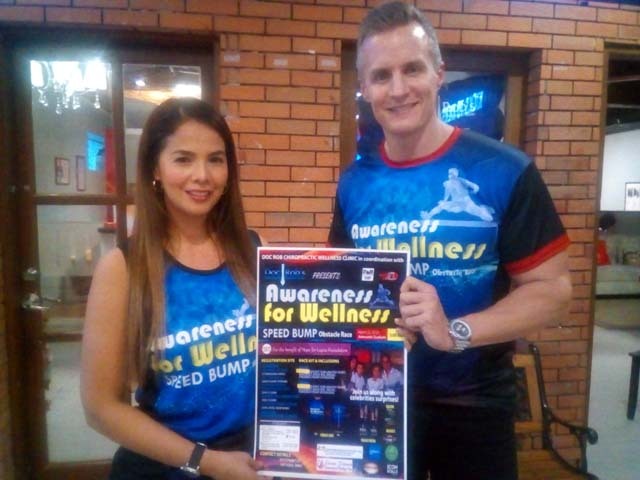 A VERY different type of fun obstacle course will happen this coming March 25 at the Amoranto Stadium in Quezon City entitled “Awareness for Wellness: Speed Bump Obstacle Course”. The said event is staged by the husband wife team of Dr. Rob Walcher and actress Patricia Javier. Over 10 various kinds of obstacles will spread all over the venue and participants may choose between running four or two kilometers. Part of the proceeds will go to the Hope For Lupus Foundation. For sure everyone’s strength, agility, speed and sill will be put to the test but they can be assured that the obstacles will be just right that even kids could do them. Aside for the race itself, other activities have been prepared to complete the Sunday morning family day experience. Registration is now ongoing at Garmin branches located at Glorietta 5, Uptown Mall BGC, Alabang Town Center, SM Mall of Asia, SM Megamall and SM City North EDSA. The race kit includes a sublimated print t-shirt and a race belt to hold one’s number. Both the four and two-kilometer categories carry the same registration fee of only PHP 700.00. Participants will also get the chance to race with surprise guest celebrities. The event is made possible with the assistance of the Pinoy Aspiring Runners (PAR) and also marks the birthday of Dr. Walcher, a chiropractor. 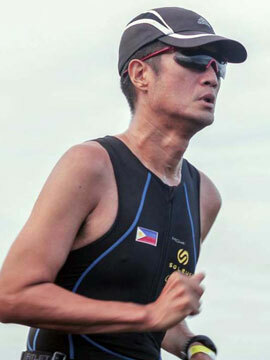 “My business is to make people feel good by aligning their spine and that will benefit all especially runners and athletes,” he said. Formerly based in California and with two growing sons, the family made the decision to relocate to the Philippines in 2015 and since then, Dr. Walcher has established two clinics in Quezon City and Makati City. For more information, please visit www.DocRobChiro.com.